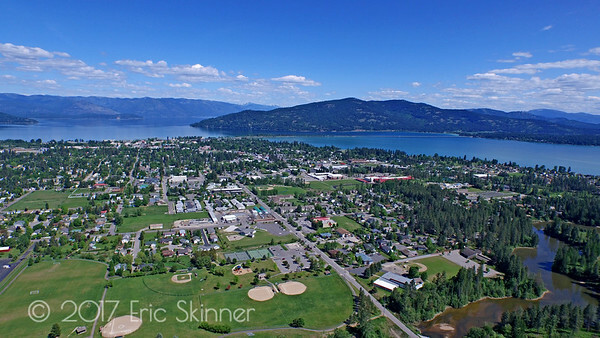 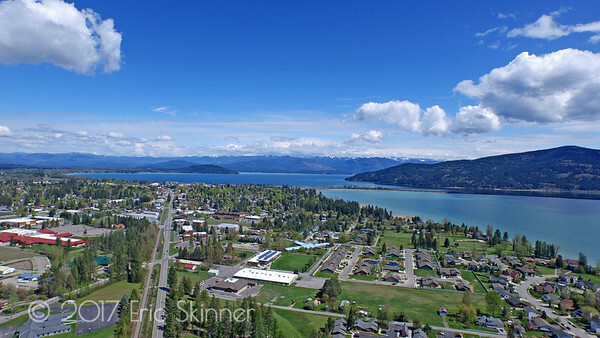 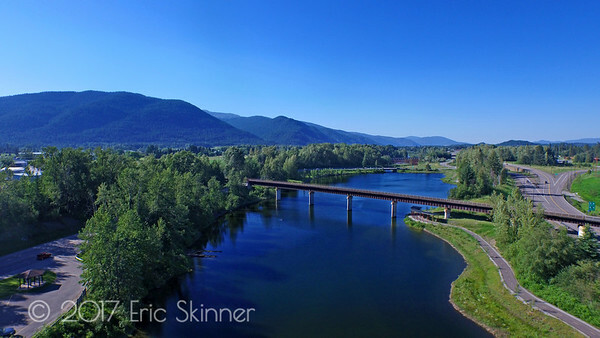 It's hard to beat the beauty of Sandpoint Idaho. 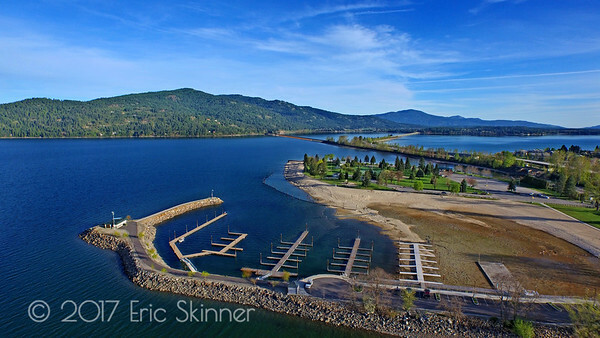 This photograph shows the mouth of Sandcreek feeding into Lake Pend Oreille. 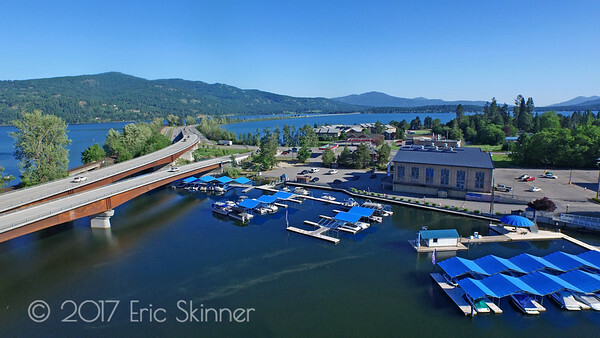 The Power House one of Sandpoint's most iconic buildings is shown near the center of the image with the famed "Long Bridge" in the background. 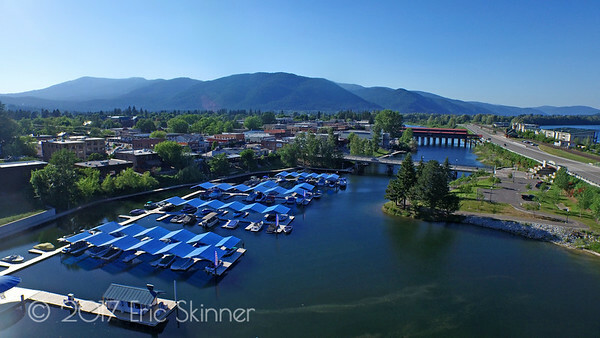 Every 3rd week in May Sandpoint gets "Lost in the 50's"! 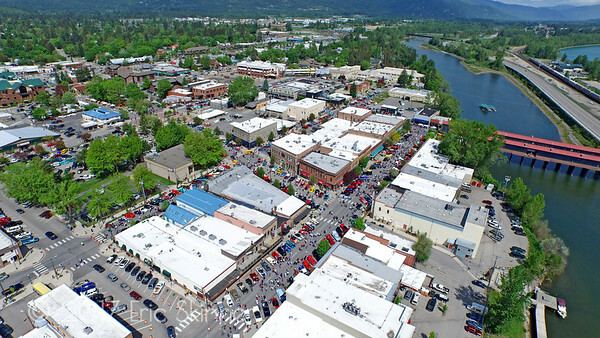 This picture shows the streets closed down for the car show. 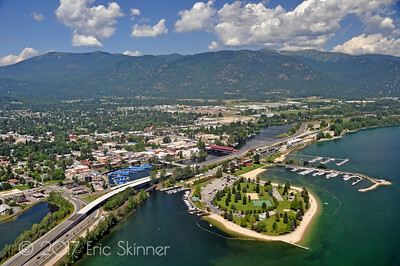 Aerial view of the Lost in the 50's car show in Sandpoint, Idaho. 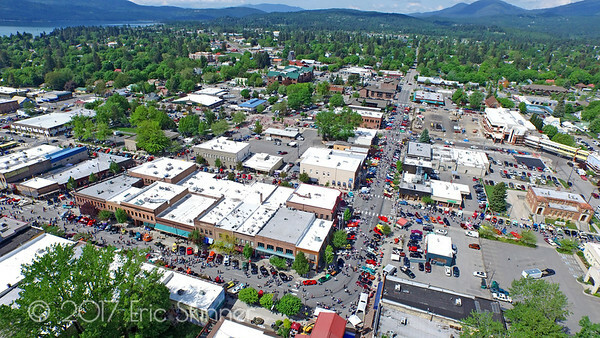 This view is of the intersection of First Ave and Cedar Street. 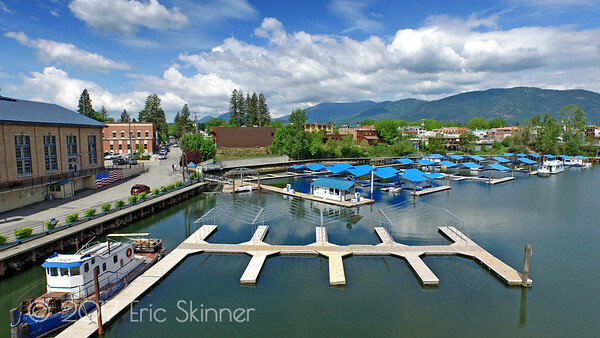 Pine Street crossing Chucks Slough in Sandpoint Idaho. 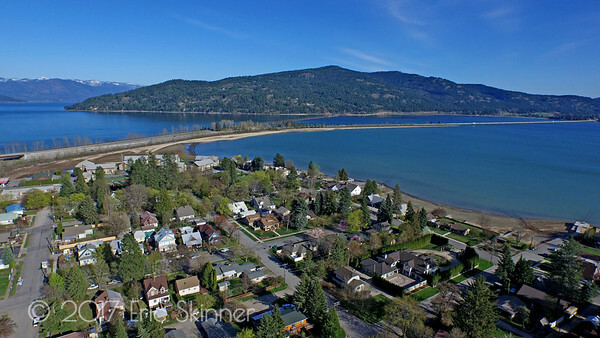 The cross street is Lula Court. 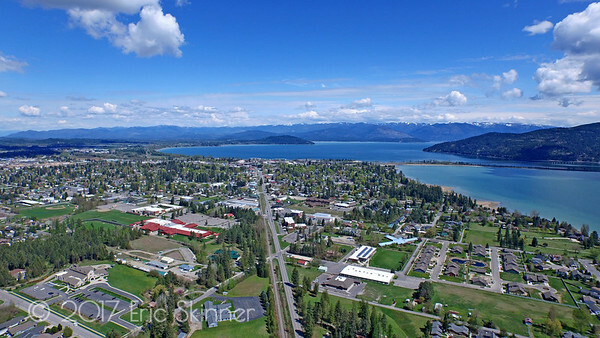 Lula Court in Sandpoint Idaho of Pine Street. 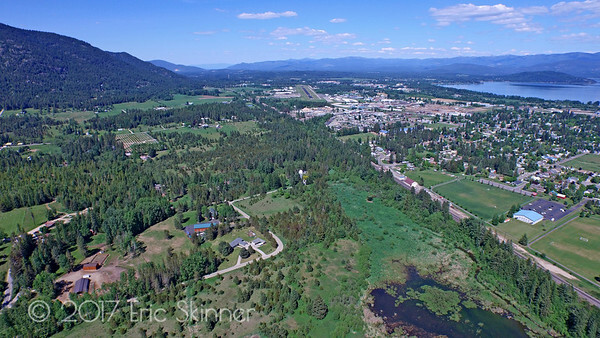 Sandcreek delivering the waters off the local mountains to Lake Pend Oreille. 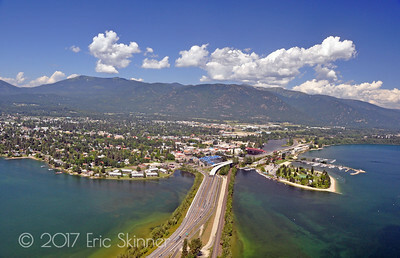 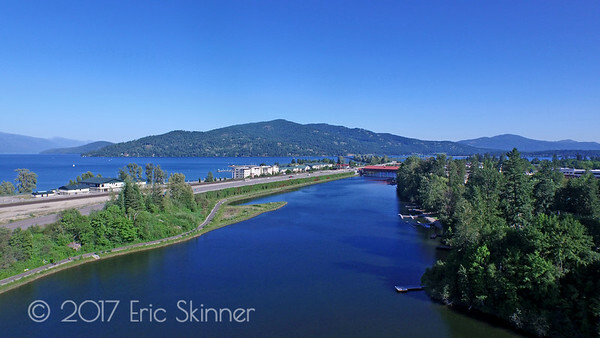 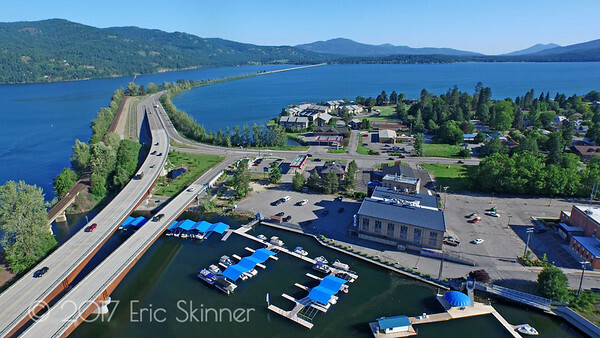 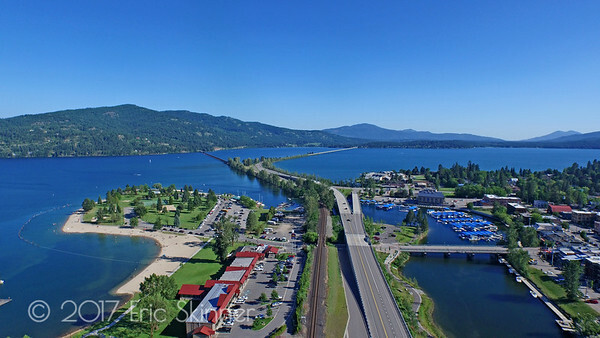 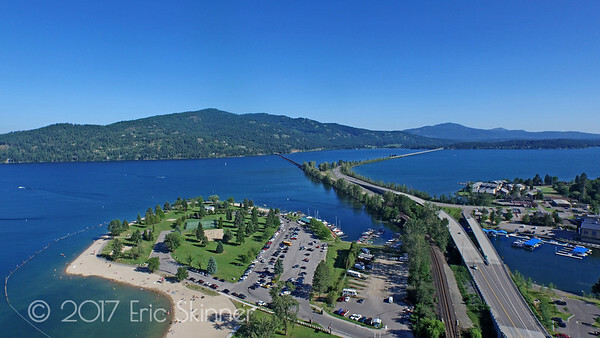 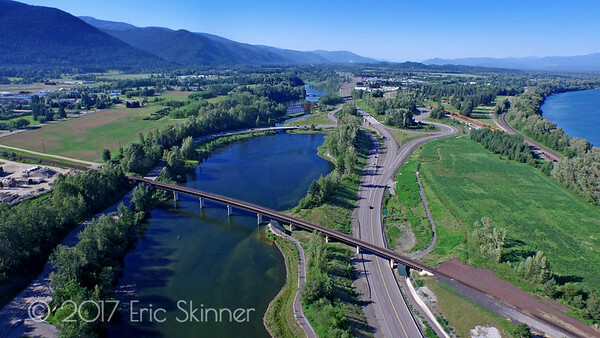 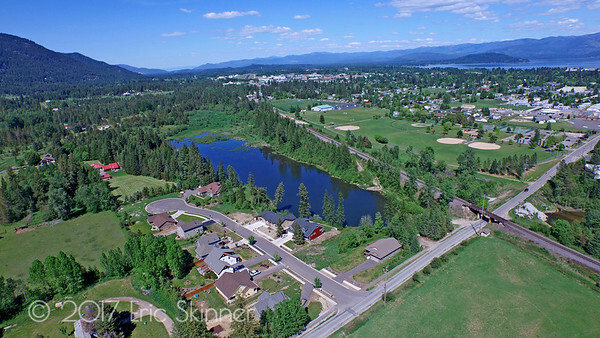 Also pictured is the Cedar Street Bridge, The Seasons At Sandpoint Condo's, and Sandpoint Highway 95 Bypass. 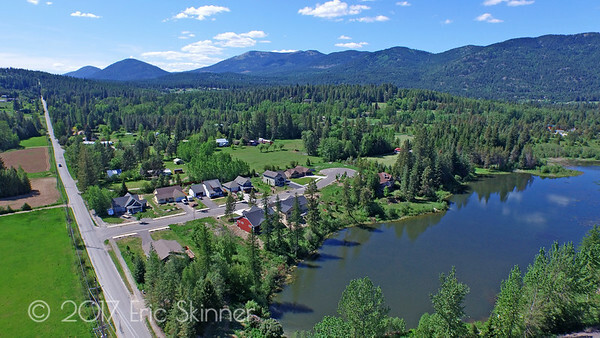 A view of Sandcreek near the "North Y" intersection of Hwy 95 and Hwy 200. 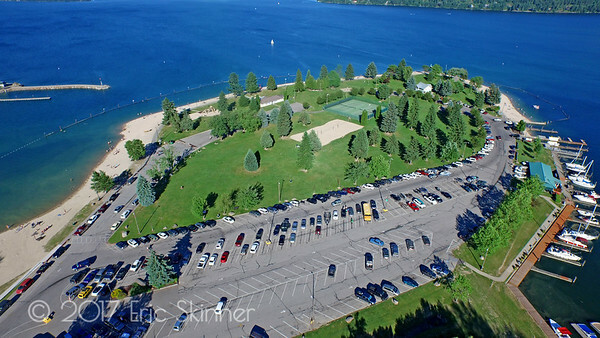 City Beach and Sandcreek meet! 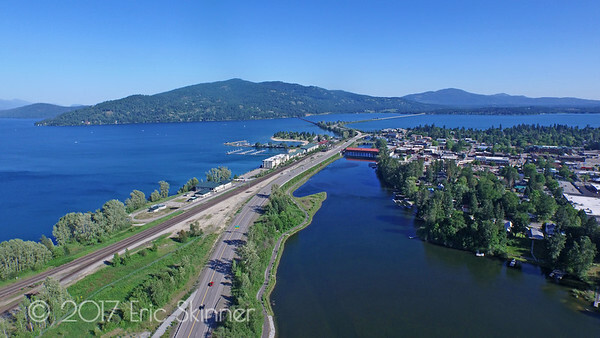 Winter time in Sandpoint Idaho, the lake water level is drawn down in the winter in Sandpoint to allow for spawning of different species of fish. 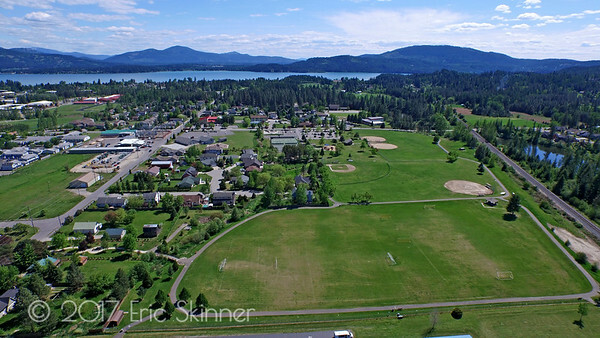 Snow is melting and the lake level is rising, while grass is greening up!